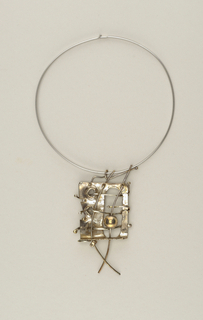 This object is currently on display in room 213 as part of Iridescence. See our image rights statement. 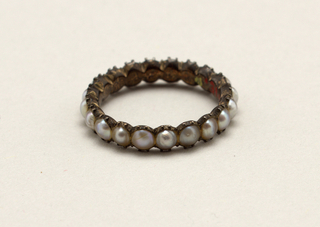 See more objects with the tag mother of pearl, silver, pearl, ring. See more objects with the color peru darkolivegreen sienna rosybrown antiquewhite or see all the colors for this object. This is a Ring. It was made by Francisco Rebajes. It is dated ca. 1960 and we acquired it in 1990. Its medium is silver, mother-of-pearl, pearl. It is a part of the Product Design and Decorative Arts department. 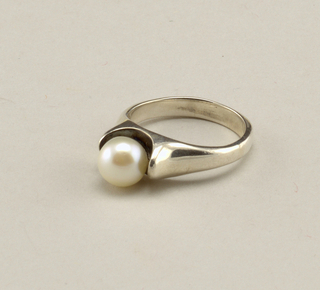 Ancient Middle Eastern cultures were some of the first to value pearls. Pearl shell and pearl-adorned objects have been found at archaeological sites across the Roman Empire. 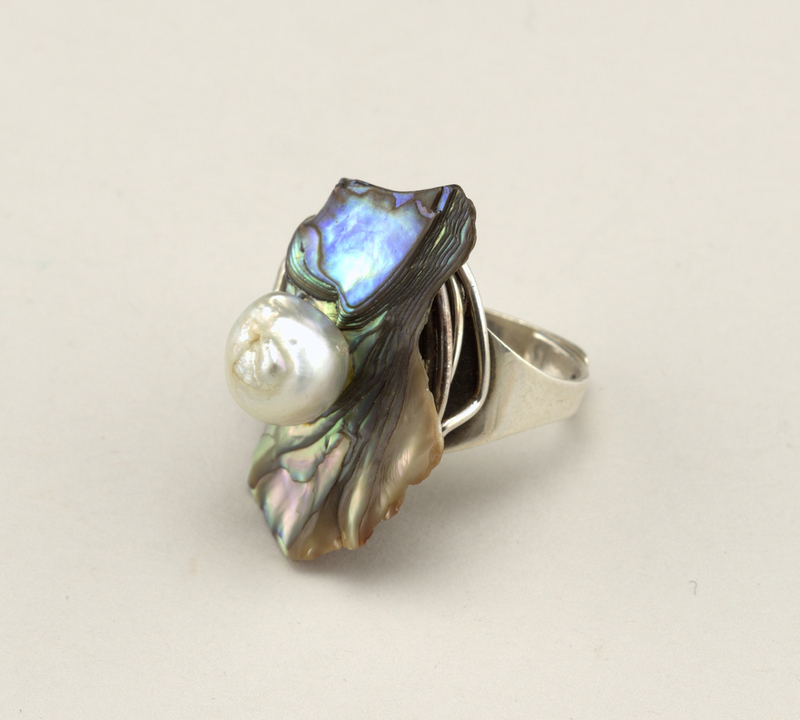 From flatware handles to jewelry, designers have prized pearls as iridescent decorative accents for a variety of objects of utility and personal adornment for centuries. It is credited Gift of Mr. and Mrs. Eitel Groeschke in memory of Pauline and Frank Rebajes. Gift of Eitel and Frances Groeschke in memory of Pauline and Frank Rebajes.